This year's STV Appeal was hailed a success after raising a total of £2,510,002 for children living in poverty across Scotland. This year’s STV Appeal raised more than £2.5m for children affected by poverty in Scotland. The total was announced on Friday night live on STV during a TV special anchored by Lorraine Kelly and broadcast from STV's studios around the country. 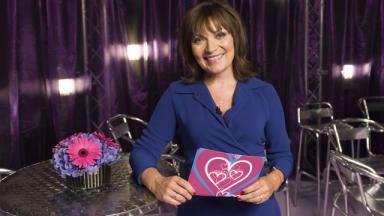 Lorraine revealed the total of £2,510,002 raised for the STV Appeal 2013 live on STV on Friday night. The Appeal itself raised £1,510,002 with the Scottish Government adding £1m. It was the culmination of a fundraising and charity campaign, with every penny raised going to children and young people in Scotland. Cheques from all the major fundraising challenges, including freshnlo Pedal for Scotland, Mark Beaumont’s Highland Line Challenge and An Audience with Sir Alex Ferguson, were presented across the country with Lorraine Kelly bringing the evening to a close by revealing how much the Appeal raised. STV chief executive Rob Woodward said: “We've just had an amazing response. This is the third time that the STV Appeal has run and it's raised over £2.5m for Scotland’s most needy children. “It's just a fantastic result. I’m absolutely humbled by the response from everybody across Scotland who made the STV Appeal 2013 the phenomenal success that it has been." Lorraine Kelly, presenter and STV Appeal trustee, said: "It has been a fantastic evening here at STV and the perfect way to celebrate the fundraising efforts of this year's STV Appeal. The incredible amount of money raised tonight and throughout the campaign will make a real difference to the lives of children and young people affected by poverty in Scotland. “A huge thanks to everyone who has given generously to this hugely important cause. There is still time to donate to the STV Appeal, so please keep giving." Sir Tom Hunter, STV Appeal trustee, said: "This is an outstanding result. We asked the Scottish people to stand up against child poverty and they answered emphatically. No one in Scotland believes we cannot rid ourselves of this appalling blight and thanks to this appeal we go one step closer in a long march to doing so. "The Scottish Government's commitment to this has been outstanding as has STV and their entire staff - a huge thank you to them all for shining a light on this horrendous problem, a problem we can and will fix."